MFG DAY 2018 was a resounding success for California! 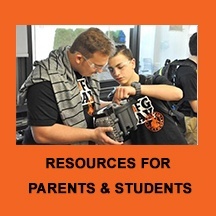 251 host sites were registered on MFGDAY.com with over 330 manufacturers and support organizations participating in events throughout the month of October. CMTC actively participated by sponsoring, organizing and matching up manufacturers with schools wishing to participate, or by lending our support by exhibiting or attending. We are proud that so many of the manufacturers featured here are CMTC clients and/or participants in our Made in CA program. Here are highlights from the organizations that participated in events for 2018. We would like to extend a special Thank You to all of the manufacturers, schools, stakeholders and other organizations and individuals who helped make Manufacturing Day 2018 such a huge success. National Manufacturing Day is observed annually on the first Friday in October. CMTC celebrates California manufacturers who develop and manufacture products and unlock new technologies that grow our economy. They create jobs through entrepreneurship, and their competitiveness revitalizes American manufacturing. On National Manufacturing Day California manufacturers open their doors and take up the important work of inspiring our young people to pursue careers in manufacturing and engineering. Today’s science, technology, engineering, and math graduates will power the next chapter of American production and innovation, and harnessing their potential is an economic imperative. Why you should register your Manufacturing Day event. 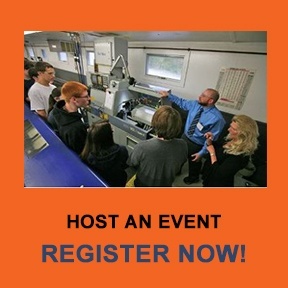 How to plan your Manufacturing Day event. 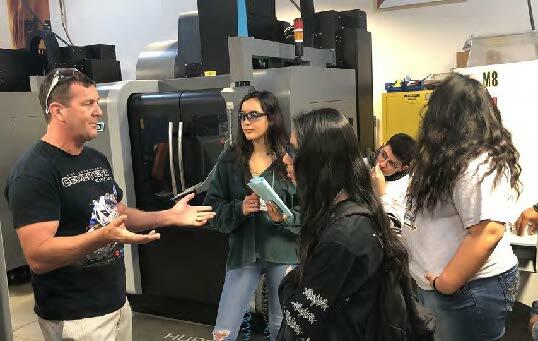 As part of our mission, “To serve manufacturing as a trusted advisor providing solutions that impact and grow the California economy,” CMTC is works to partner high schools, middle schools, and adult education centers in California with manufacturers in their area to provide first-hand learning experiences for students -- especially those in ROP, STEM and CTE programs. Please contact CMTC’s Outreach & Communications Manager, Steve Brand, at sbrand@cmtc.com or by phone at (310) 263-3018. Want to get students interested in a career in manufacturing? 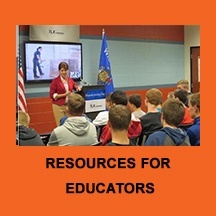 Download our MFG DAY Student Flyer which has all sorts of cool facts and graphics! Check back soon to see scheduled community events! Manufacturing Day 2017, which occurred on October 6th (and throughout the entire month), was a huge success! 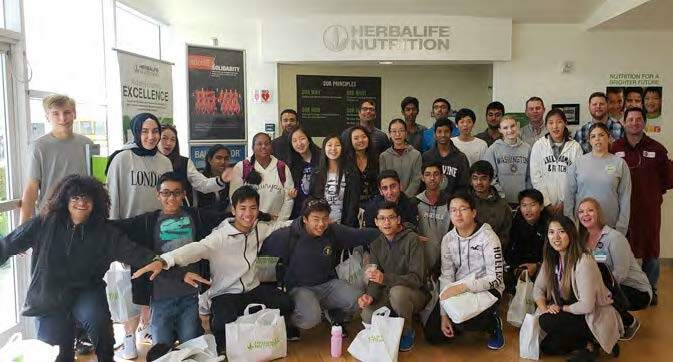 Our Recap below features highlights from just a few of the events that CMTC actively participated in by sponsoring, organizing, matching up manufacturers with schools wishing to participate, or by lending our support by exhibiting or attending. We are proud that so mamy of the manufacturers featured in our Recap are CMTC clients and/or participants in our Made in CA program. In December 2016, The National Association of Manufacturers’ (NAM) Manufacturing Institute and Deloitte released the results of a survey on the effect Manufacturing Day 2016 had on the public’s views of the industry. Responses from students, educators and employees surveyed demonstrated that Manufacturing Day 2016 resulted in an improved public perception of manufacturing. Plus, 89% of the manufacturers that participated in Manufacturing Day saw value in participating and 86% said that they were likely to host an event again in the future! Click here to view the full infographic with survey results. See some of the manufacturers and organizations that participated in California!